The anti-inflammatory diet is an eating plan designed to prevent or reduce low-grade chronic inflammation, a key risk factor in a host of health problems and several major diseases. The typical anti-inflammatory diet emphasizes fruits, vegetables, lean protein, nuts, seeds, and healthy fats. Often resulting from lifestyle factors like stress and a lack of exercise, chronic inflammation results when the immune system releases chemicals meant to combat injury and bacterial and virus infections, even when there are no foreign invaders to fight off. Since our food choices influence the level of inflammation in our bodies, the anti-inflammatory diet is thought to curb chronic inflammation and help prevent or treat the following conditions: allergies, Alzheimer's disease, arthritis, asthma, cancer, depression, diabetes, gout, heart disease, inflammatory bowel disease (such as ulcerative colitis and Crohn's disease), irritable bowel syndrome (IBS), and stroke. Research suggests that people with a high intake of vegetables, fruits, nuts, seeds, healthy oils, and fish may have a reduced risk for inflammation-related diseases. In addition, substances found in some foods (especially antioxidants and omega-3 fatty acids) appear to possess anti-inflammatory effects. There's also some evidence that certain culinary herbs and spices, such as ginger, turmeric, and garlic, can help alleviate inflammation. Omega-6 fatty acids (a type of essential fatty acid found in a wide range of foods) are known to increase the body's production of inflammatory chemicals. Since omega-6 fatty acids help maintain bone health, regulate metabolism and promote brain function, you shouldn't cut them out of your diet altogether. However, it's important to balance your intake of omega-6 fatty acids with your intake of omega-3 fatty acids in order to keep inflammation in check. Instead of vegetable oils, opt for oils like olive oil and avocado oil. Additionally, studies show that a high intake of high-glycemic index foods like sugar and refined grains, such as those found in white bread and many processed foods, may rev up inflammation. Avoid sugary drinks, refined carbohydrates, desserts, and processed snack foods. More and more research suggests that an anti-inflammatory diet may play a key role in scores of health conditions. A study published in the British Journal of Nutrition in 2017, for instance, assessed the association between dietary inflammation (measured by a dietary inflammatory index) and atherosclerosis (the buildup of plaque in the arteries) in women over the age of 70. Researchers found that dietary inflammatory index scores were associated with subclinical atherosclerosis and heart-disease-related death. Adhering to an anti-inflammatory diet may help reduce levels of certain inflammatory markers (such as a substance called C-reactive protein) in people with type 2 diabetes, according to a study published in Endocrine in 2016. For the study, people with newly diagnosed type 2 diabetes followed the Mediterranean diet or a low-fat diet. 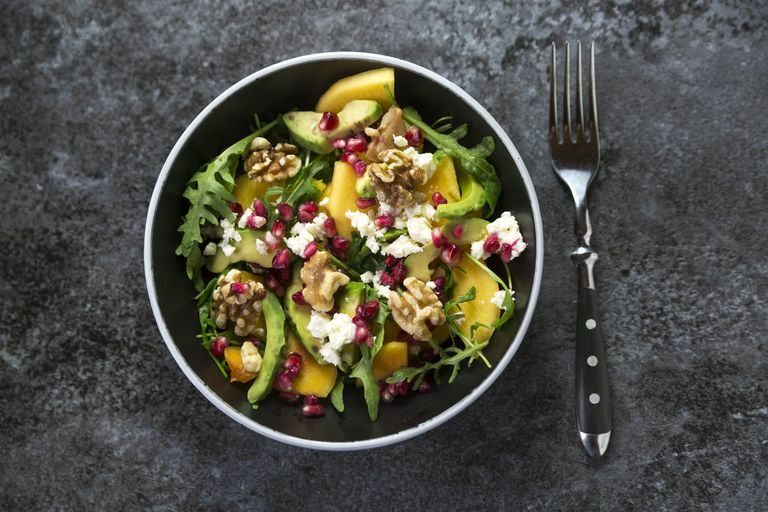 After one year, C-reactive protein levels fell by 37 percent in people on the Mediterranean diet but remained unchanged in those on the low-fat diet. Lunch: salad with quinoa and vegetables, soup, grilled salmon. Eat five to nine servings of antioxidant-rich fruits and vegetables each day. Limit your intake of foods high in omega-6 fatty acids while increasing your consumption of foods rich in omega-3 fatty acids (such as flaxseed, walnuts, and oily fish like salmon, tuna, mackerel, and herring). Replace red meat with healthier protein sources, such as lean poultry, fish, soy, beans, and lentils. Swap out margarine and vegetable oils for the healthier fats found in olive oil, nuts, and seeds. Instead of choosing refined grains, opt for fiber-rich whole grains like oats, quinoa, brown rice, bread, and pasta that list a whole grain as the first ingredient. Rather than seasoning your meals with salt, enhance flavor with anti-inflammatory herbs like garlic, ginger, and turmeric. Choosing a variety of these delicious, antioxidant-rich foods can help curb inflammation in combination with exercise and a good night's sleep, which may improve inflammation markers and possibly reduce your risk of many illnesses. Bondonno NP, Lewis JR, Blekkenhorst LC, et al. Dietary inflammatory index in relation to sub-clinical atherosclerosis and atherosclerotic vascular disease mortality in older women. Br J Nutr. 2017 Jun;117(11):1577-1586. Maiorino MI, Bellastella G, Petrizzo M, Scappaticcio L, Giugliano D, Esposito K. Mediterranean diet cools down the inflammatory milieu in type 2 diabetes: the MÉDITA randomized controlled trial. Endocrine. 2016 Dec;54(3):634-641. Prescription Vs Supplement Omega-3 Fats: What's the Difference?